Comm Eye Health Vol. 31 No. 101 2018 pp S8 - S9. Published online 10 July 2018. Programme Director: KIDROP, Professor & HoD: Department of Pediatric Retina Narayana Nethralaya Eye Institute, Bangalore, India. A low-cost, portable camera developed in India, 3Nethra Neo has made transport, imaging and scaling-up of the KIDROP programme easier. Screening is an essential first step in management of retinopathy of prematurity (ROP). This requires training, skill, patience and appropriate equipment. Identification of a child requiring treatment for ROP has a short window period, and a high-risk of poor outcome if the diagnosis is missed. Although indirect ophthalmoscopic retinal examination is the standard for examining the retinae of infants, imaging based examination and screening is gaining popularity. This article focuses on the use of wide-field imaging as the primary method in ROP screening. This is especially relevant in countries that lack ROP specialists. 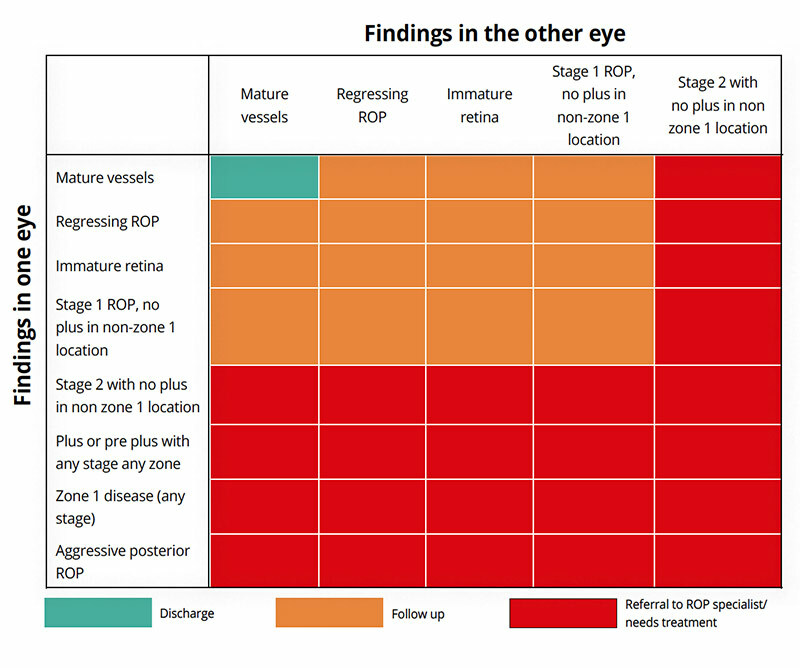 ‘Wide-field’ in the context of ROP would be 120-degree field of view (or greater), as the disease affects the peripheral retina first. Photographic documentation is a powerful tool in recording medical findings. This also serves as strong medical and legal evidence. Can wide-field imaging based ROP screening be used in countries with few ROP specialists? India with a population of 1.3 billion people, has less than 1,000 trained retinal surgeons, of which less than 150 are currently practicing management of ROP programmes. With a majority of rural areas devoid of such experts, wide-field imaging performed within the neonatal intensive care unit (NICU) by trained and accredited non-physicians could help to bridge the gap. Who can take images of infants? What equipment may be useful in South Asia? The most commonly used camera worldwide is the RetCam. The ‘shuttle version’ of this device is portable using a four-wheeler and can be moved between several NICUs. The camera is rugged and can withstand the rigors of a tropical climate and rural roads. In the KIDROP programme, 110 NICUs are covered by five cameras, each managed by a separate team. On average, 7000 kilometres of travel are undertaken to reach these centres wherein 1500-2000 imaging sessions are performed every month.1,3 More recently, a low-cost, portable camera that was developed in India, 3Nethra Neo has made transport, imaging and scaling-up of the programme easier. What kind of on-site imaging and documentation can be expected? green (mature retina in both eyes). How are imagers trained and accredited? A KIDROP STAT (Score for Training and Accreditation of Technicians) score has been developed to train and certify imagers. This comprises of three levels (I, II and III) and has a 20 point score, which tests the knowledge, skill, and practise patterns of the imager in their native setting. On an average, training a new imager can take between 30 and 90 working days. This period has been considerably shortened after the introduction of online training. What are other uses of imaging? Wide-field imaging used for ROP screening has helped diagnose and manage other ‘non-ROP’ conditions in preterm infants. In a study of 1,450 preterm infants, 7.7% had a diagnosis other than ROP, which included conditions as severe as retinoblastoma. Imaging can also be easily performed for anterior and posterior segment screening of full term, healthy infants to provide ‘universal eye screening’. A study of 1,021 term infants imaged within three days of birth showed that 4.7% had an abnormality, 1% of whom required medical or surgical intervention. As more affordable cameras become available, the role of imaging is likely to expand under the national programme to provide universal eye screening at birth. What is the impact of tele-screening? An impact assessment of scaling up the image based tele-ROP programme in India showed that in the 10 high-risk ROP states, with a population of roughly 680 million, over 35,000 infants would be detected with ROP and over 1,200 need treatment annually. 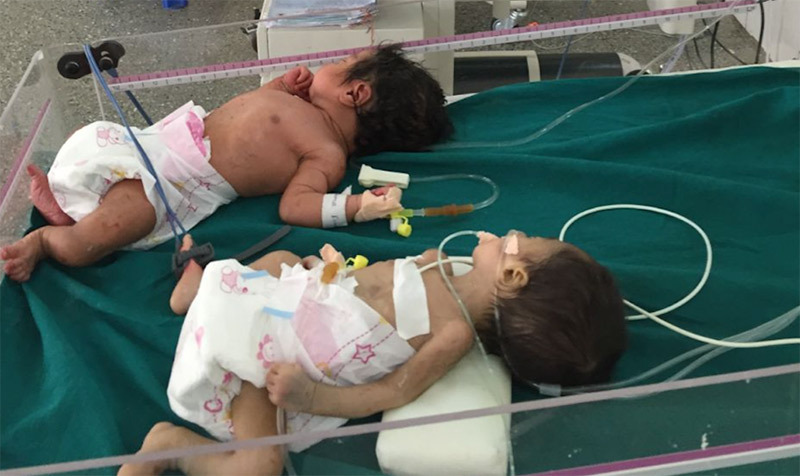 The financial saving in ‘blind-person-years’ (BPY) is estimated at USD 108 million.4 Over 650 government owned special new born care units (SNCUs) are already functional in most of the district headquarters in India and many private NICUs also exist. Most of these centres are currently not providing in-house ROP screening. This gap must be met. The United Nations Development Programme (UNDP) report on the tele-imaging programme and the National Health and Medical Research Council (NHMRC, Australia) report based on the Center for Disease Control (CDC) guidelines5 on the KIDROP programme both strongly suggest that wide-field imaging is likely to become the new gold standard in ROP screening, and similar models would allow rapid replicability and sustainability in countries like India and others with similar ROP demographics. 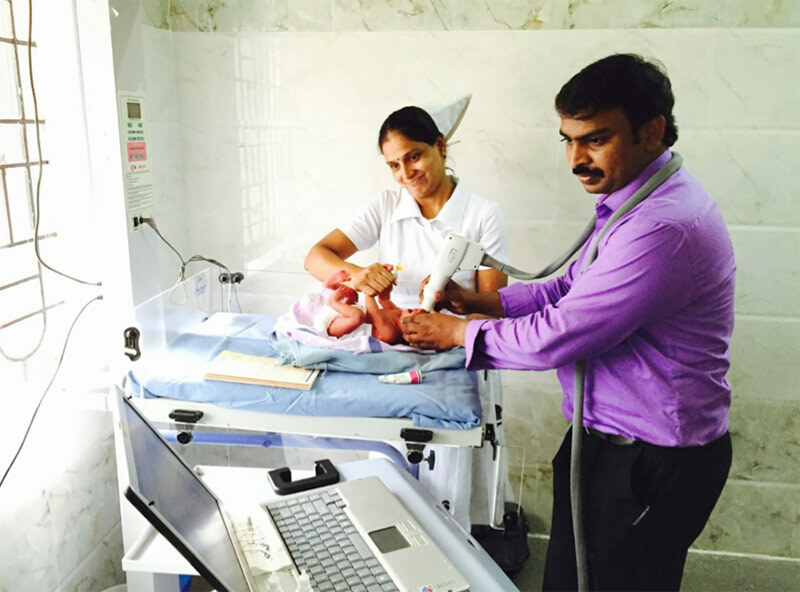 1 Vinekar A, Jayadev C, Mangalesh S, Shetty B, Vidyasagar D. Role of telemedicine in retinopathy of prematurity screening in rural outreach centers in India – A report of 20,214 imaging sessions in the KIDROP program. Semin Fetal Neonatal Med. 2015;20:335–45. 2 Vinekar A, Gilbert C, Dogra M, Kurian M, Shainesh G, Shetty B, et al. 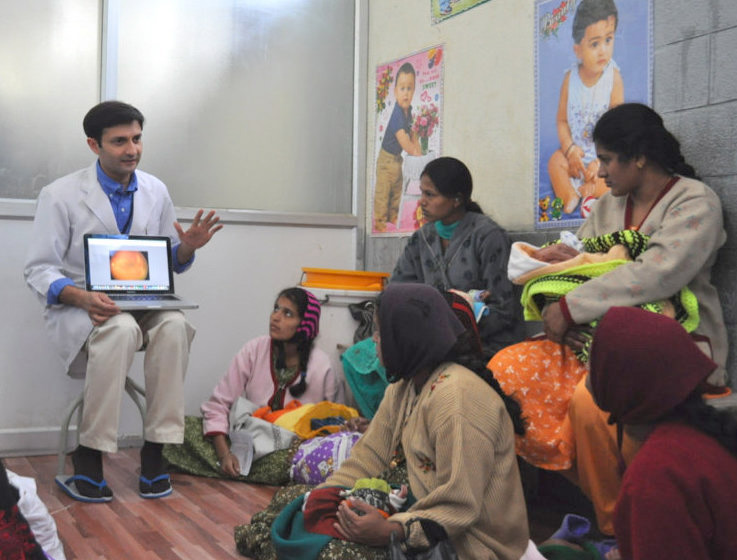 The KIDROP model of combining strategies for providing retinopathy of prematurity screening in underserved areas in India using wide-field imaging, telemedicine, non-physician graders and smart phone reporting. Indian J Ophthalmol. 2014;62:41–9. 3 Vinekar A, Jayadev C, Bauer N. Need for telemedicine in retinopathy of prematurity in middle-income countries: EROP vs. KIDROP. JAMA Ophthalmol. 2015;133:360–1. 4 Vinekar A, Mangalesh S, Jayadev C, Gilbert C, Dogra M, Shetty B. Impact of expansion of telemedicine screening for retinopathy of prematurity in India. Indian J Ophthalmol. 2017 May;65(5):390-395. 5 CDC. Developing an effective evaluation report. 2013. Available from: https://www.cdc.gov/eval/materials/Developing-An-Effective-Evaluation-Report_TAG508.pdf [accessed on 2017 Mar 09].